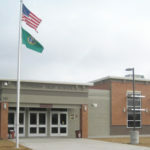 Toppenish School District, located in the heart of the Yakima Valley in Washington State, had been experiencing key control issues and needed to be more proactive about security. The district serves approximately 3,300 students attending 9 schools ranging from preschool through grade 12. Over the years, keys with access to school facilities were all over the community and became a big cause for concern. “We eventually lost control of our system and did not know who had access to school grounds,” states Scott Kallenberger, Toppenish District IT Manager. In addition, Toppenish was experiencing loss of product from the school kitchens. “There was no accountability; even with cameras we couldn’t tell who was stealing because there are so many people coming and going,” states Kallenberger. With the mechanical lock and key system, they had no effective way to control and audit access to the facilities. The district needed accountability to investigate when incidents occurred. In the fall of 2007 the Toppenish School District was introduced to CyberLock at the Washington Association of Maintenance and Operations Administrators (WAMOA) Annual Fall Conference. The district implemented the CyberLock system because it was affordable and no wiring was needed for installation. “The cost benefits for other systems just weren’t there; the price per door is a lot less with CyberLock and it’s easy to manage,” Kallenberger said. Toppenish has installed CyberLock cylinders in all the exterior doors throughout the district, as well as at high-risk areas including data rooms, gymnasiums, and gates around recreation fields. In order to keep staff accountable, keys have been set to expire weekly, requiring staff to re-authorize and download the audit trail stored in the keys. “The software creates different access reports; I send one out to the athletics director detailing who accessed the gym and recreation fields, and I send another to our maintenance supervisor who uses it to ensure the janitorial staff is punctual,” said Kallenberger. The Toppenish School District has taken advantage of the greater affordability and availability of technology to bolster campus safety. They plan to expand their system and put CyberLock on all the classrooms and other interior locks. “I really enjoy the CyberLock system and I cannot wait to expand it. The management piece and knowing who has access has been very beneficial and I look forward to carrying just one CyberKey instead of 50 different mechanical keys,” concludes Kallenberger. "We have had a lot of issues with lights being left on in the gymnasium and supplies being taken from the kitchen, but ever since we installed CyberLock those issues have been eliminated."